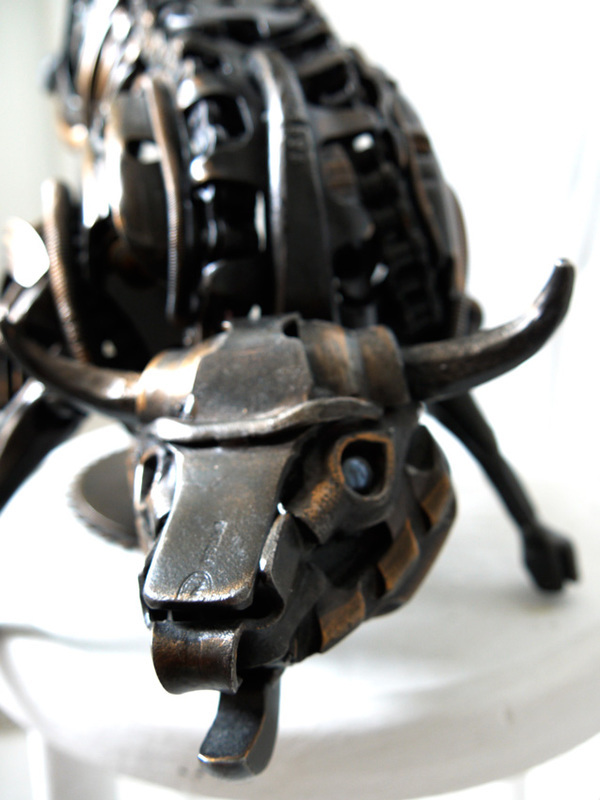 CRETAN BULL - This was a specific commissioned piece. 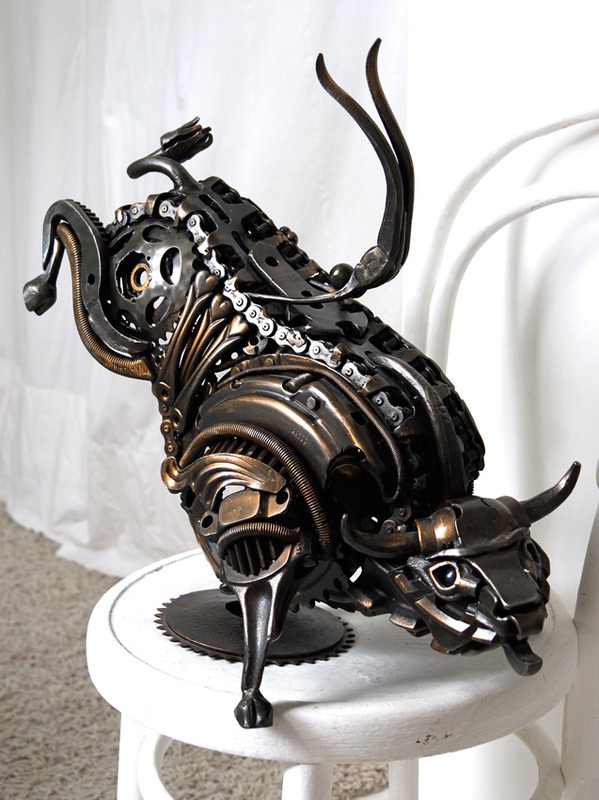 I was extremely pleased with the weight and power captured in the bull, juxtaposed against the lightness of the jumping acrobat made from a pair of pliers. 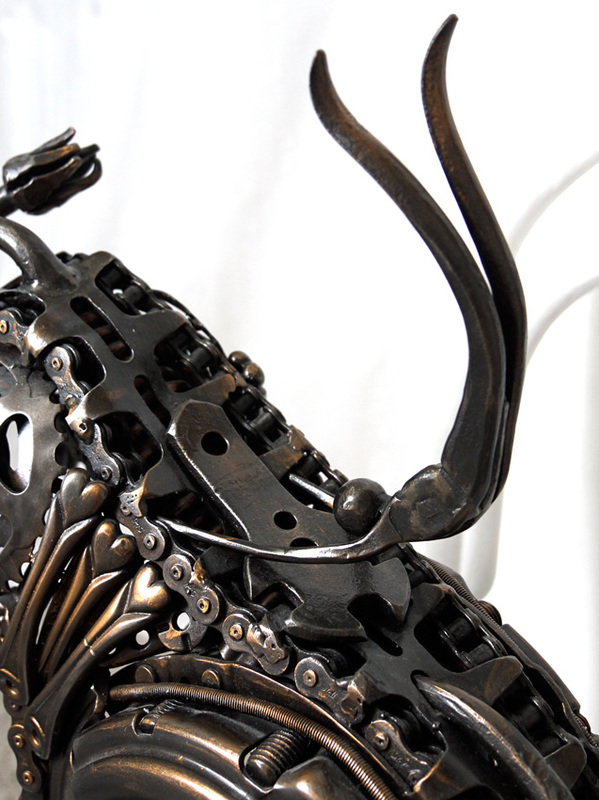 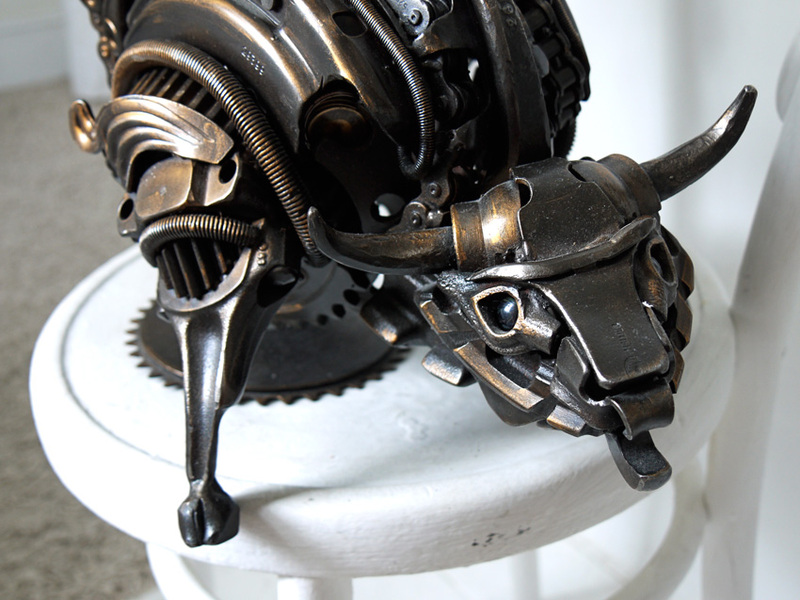 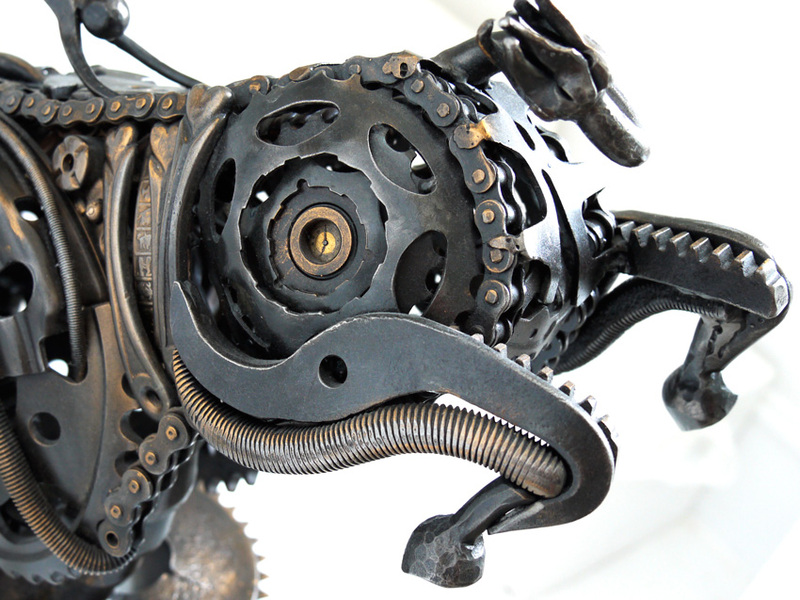 The Bull was made from Retired tools, motorbike chain, car clutches, con-rods, hedge trimmer blades, found and forged pieces of steel.